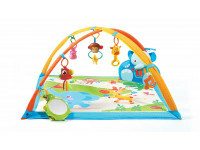 By the first birthday, babies boast a rich repertoire of fine motor skills. Now that they can separate their fingers and use each one individually, a nearly endless range of possibilities becomes available – along with a sense of freedom and flexibility to select the most appropriate way to grasp anything. 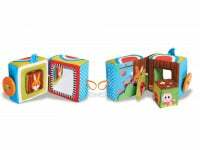 Babies now deftly manipulate objects and toys, whetting their appetite to explore even more. By 12 months, babies can pick up small items using the "pincer grasp" – holding them between the thumb and forefinger. The "pincer grasp" enables grasping tiny little items: picking up cookie crumbs or holding crayons. 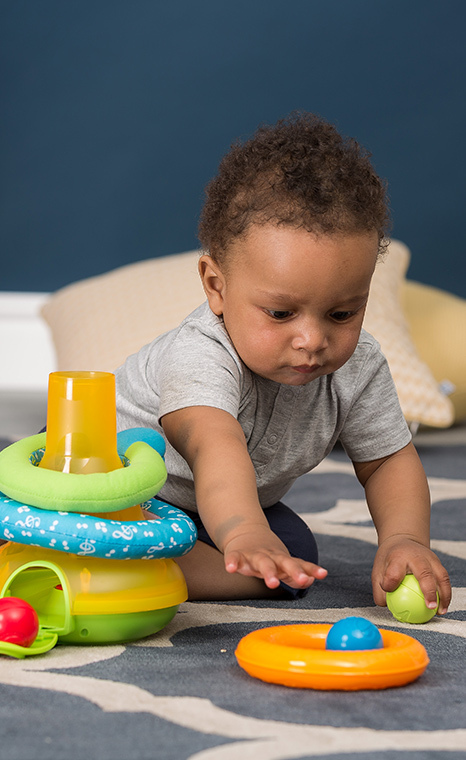 At about 9 months, your baby learns to voluntarily toss or release objects from his hand. Being able to purposely release objects, babies can now pass them from hand to hand. Separate fingers also mean more tools of communicating: babies can now point with their forefinger, specifying desires, requests and demands or taking part in dialogue. 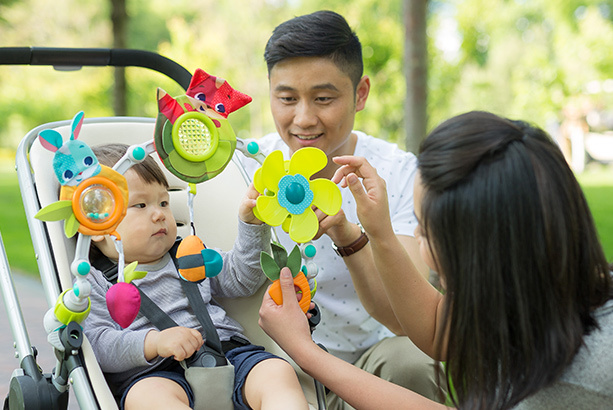 At 12 months, babies start to mimic basic limb and mouth movements, perfecting fine motor skills while also providing more channels of communication. Begins to use the pincer grasp to pick up very small objects. Can stack two blocks, one on top of the other. May show dominance for one hand over the other, but right-left dominance is usually not determined definitively until the age of three years. 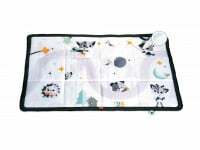 Offer your baby toys of different sizes, textures and shapes so that when she learns to toss them, she will learn how the various shapes and textures react, such as round rolling objects. 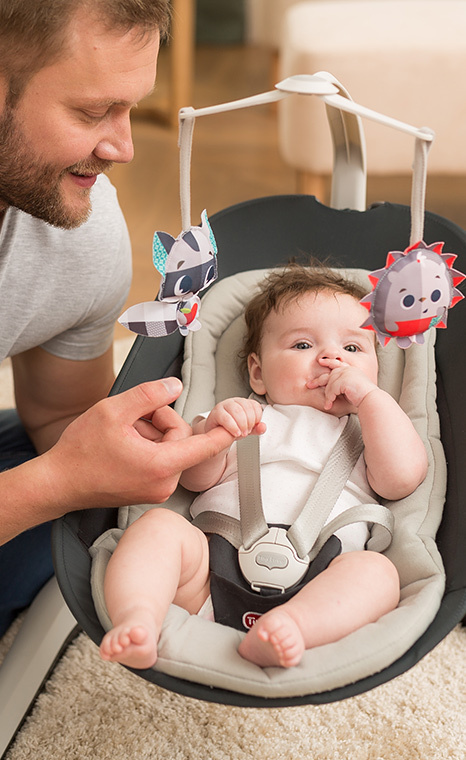 Offer an age-appropriate activity center that has a wide variety of activities to motivate your baby to use different skills, like pushing, pulling and striking. 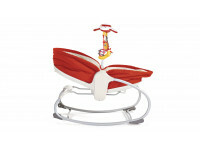 Your baby’s ability to control his muscles belies every movement he makes. A delicate balance of our fine and gross motor skills are what enable adults and children to be physically active, and control our bodies as we wish.